After the Mogul Memorandum in HI June 2018, we are now publishing the Doorman Dossier. It is a unique and extensive article about the background and achievements of a special transmitter, who especially on the type front is moving boundaries. He is a bull that has all it takes to be one of the greatest sires in the show ring for several years. And who also knows how to regularly provide elite type animals – both in the male and female lines – for the index front. 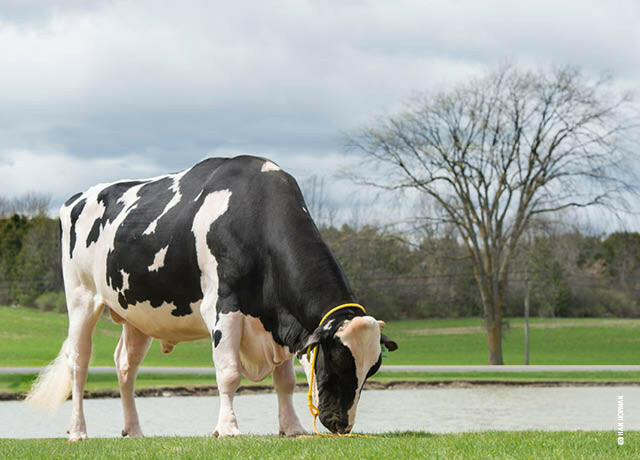 Here is the story of the multi-talented bull from Quebec: Val-Bisson Doorman.